Since the Stars moved from Minnesota to Dallas, they have experimented with a number of different uniform and logo designs. The 1993-94 season was the team’s first in Texas. Since, the Stars’ primary logo design has remained the same, but has just gotten progressively darker. Dallas has also experimented with a jersey style that literally looks like a giant star was cut out of it. Starting in 2007, the team decided to put player numbers on the front of the jersey in addition to the back and the sleeves. The Stars abandoned the logo on the chest in 2011 and replaced it with an arched “DALLAS”. Safe to say the Stars’ logos and uniforms have not exactly worked out particularly well. Without waiting any further, let’s crack the Top 10! It’s difficult to imagine an NHL in the coming years in which Taylor Hall is not one of the league’s premier superstars. Honestly, the toughest part about writing this piece on Hall is the fact that he’s younger than me – talk about feeling insignificant. At age 21, Hall has been leaving experienced NHL defenders in the dust for three years now, and he shows no signs of ever slowing down. 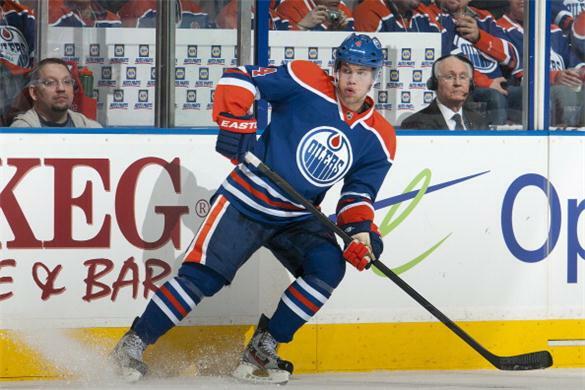 Drafted by the Oilers in 2010, the first overall pick jumped onto the NHL scene immediately, scoring 22 goals and totaling 42 points in just 65 games of NHL action as a rookie. He followed that year with a splendid sophomore campaign, posting 27 goals and 26 assists in 62 games. This season, Hall saw his stat sheet fall to just 16 goals on the year, but he did post a career-high 34 assists en route to 50 points in 45 games. The Oilers are an extremely young team (top-9 point-getters for 2012-13 are under age 30), and Hall will be a crucial part of Edmonton’s success for years to come. After a long absence (thank you, finals), #TheList returns to the hockey scene as we continue on with the NHL’s best left wingers, numbers 11 through 15. In case you missed any prior posts, you can find them here: #21-25; #16-20. Ready, set, go! 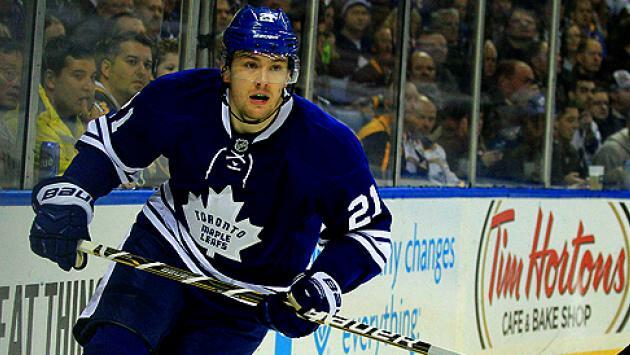 Over his four NHL seasons, James van Riemsdyk has shown that he can be a consistent producer at the NHL level. Drafted 2nd overall in 2007 by the Philadelphia Flyers, van Riemsdyk became a fan-favorite in Philly very quickly, playing 75+ games in his first two NHL seasons. Not afraid to thrown his body around, van Riemsdyk also found some success finding the back of the net, averaging a point every two games through his NHL career. Just this past offseason, JVR was traded to Toronto for Luke Schenn; the trade worked out quite well for van Riemsdyk, who posted 32 points in 48 games as the Maple Leafs reached the playoffs for the first time since 2004, while his former team in Philadelphia missed out on the postseason. As he begins to build chemistry in Toronto, watch for the 24-year old van Riemsdyk to continue his physical play and produce more points for the Maple Leafs. The 2013 NHL Stanley Cup Playoffs are now upon us and have they ever been exciting. Six of the eight series have played three games (Rangers-Capitals and Maple Leafs-Bruins have only played two), and five of those series stand at 2-1. Only the San Jose Sharks (up 3-0 on Vancouver) and Washington (up 2-0 on the Rangers) hold undefeated records this postseason. For now, we’ll take a look at some of the winners and losers of the playoffs and even some special pieces about the first round. Enjoy! In less than an hour, the NHL Stanley Cup Playoffs will kick off with a double-header, as the Minnesota Wild will take on the Chicago Blackhawks and the Los Angeles Kings will battle the St. Louis Blues for the early series leads in the West. Before those games start, though, it’s time I get in my full playoff predictions. Take a peek and leave your comments below! Note: In the preseason, I picked the Sharks over the Penguins in the final. While it’s a tough road for San Jose, I’m sticking with my original pick and hoping they go the distance. Well, folks, here we are. After a crazy off-season that saw a pair of $100+ million contracts given out to Zach Parise and Ryan Suter (along with a similar offer sheet between the Philadelphia Flyers and Shea Weber, which was ultimately matched by the Nashville Predators), an epic owners-versus-players battle during the NHL lockout, a shortened season that almost wasn’t, and the longest point-streak in NHL history, we’ve finally reached the 2013 Stanley Cup Playoffs. The set-up isn’t necessary, so I’ll just get right to the meat and potatoes: here are my picks for the first round in the 2013 Stanley Cup Playoffs. And not a moment too soon, as we’re only a few hours til puck drop. Leave your comments below! I just mentioned the Minnesota Wild and their two big signings in the off-season, and Zach Parise’s presence in Minnesota makes me really want to pick the Wild in the upset. Former New Jersey Devils’ captain Zach Parise joined the Wild in order to play hockey closer to home (the money helped, too), and he’s bringing plenty of experience with him. Last year in particular, the Devils grabbed the 6th seed in Parise’s first and only year as captain in New Jersey, and stormed through the playoffs past Florida, Philadelphia, and the New York Rangers before falling in the Finals to Los Angeles. Can Parise bring some magic to Minnesota as well and become the new Minnesota Miracle Man? My brain says no. Chicago is too talented, too deep, and too hot to lose now, and they’ve got extraordinary talent. 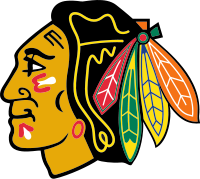 The goalie tandem of Corey Crawford and Ray Emery is a force to be reckoned with, and the Hawks are just lethal in the offensive zone with Patrick Kane, Jonathan Toews, Marian Hossa, and youngster Brandon Saad. I like the Wild as a young team. With some time to develop, the Wild can be contenders for many years to come. But this year is not that year.